Alphason Dallas computer workstation in a beech effect finish. 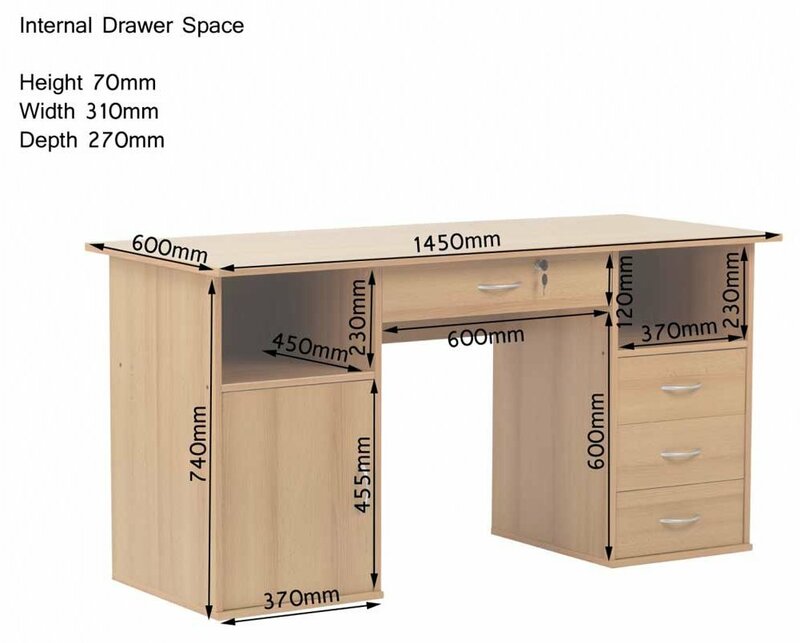 Featuring an enclosed cupboard for your computer tower, lockable central drawer, three stationary drawers and two storage areas. 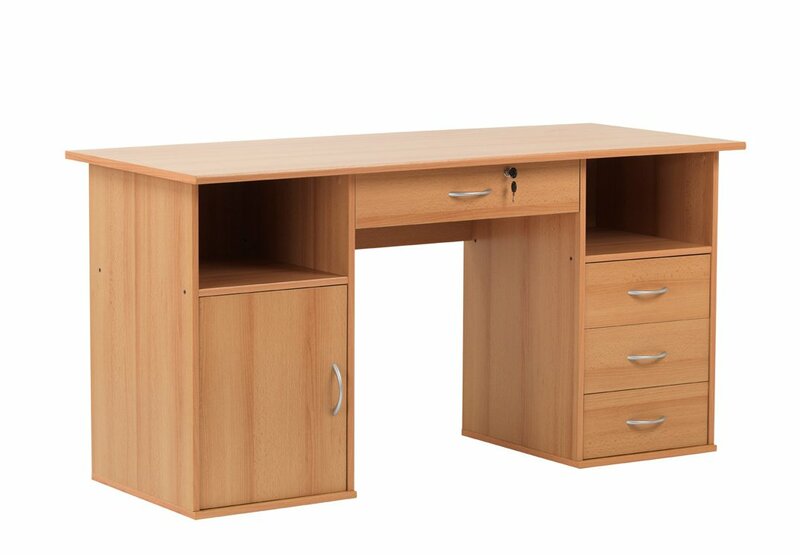 A quality workstation, it is delivered flat packed for easy home assembly. 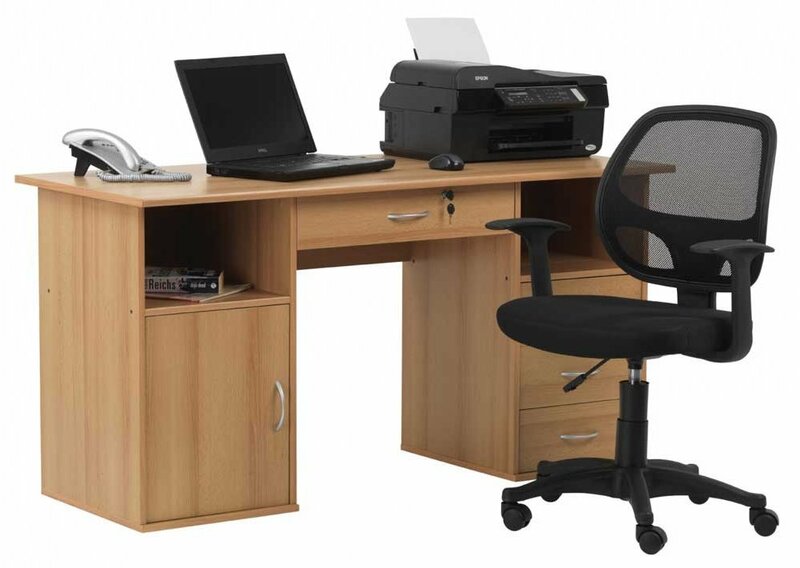 very good value for money, quite sturdy once assembled with care. The plastic screw cover discs did not fit over the screws. locating spigot would not fit into the Phillips screw recess. Had to cut off the spigot and glue the covers on. Centre drawer not free running, required packing out. Pieces are numbered so know how to assemble table. Door of table only had one whole on insertion into table-font know if that was just a manufacturing error or not,but lock to middle draw is not secure by any means as its not a proper lock as there is nothing to stop draw opening even when lock is inserted in draw .lastly the bases and table top do not fully fit smoothly inside its ports/attachment things. Although table looks pretty from a distant there are many flaws to it. 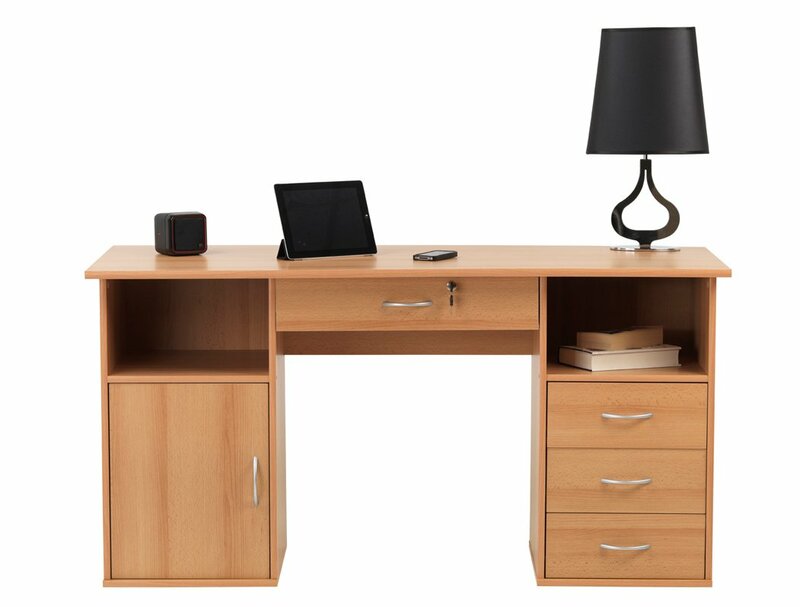 Can the drawers be on the left hand side and the door on the right, and can the door be hung on the right edge? yes the drawers can be on the left and the door on right but dont think the door can be hung on right edge.